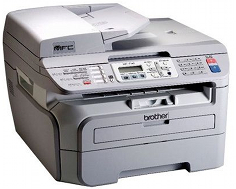 The boxy Brother MFC-7340 is one of Brother's first examples of a full blown personal MFCs that ditches the old fax machine look for the more modern flatbed design. Relying on electromagnetic laser technology requiring both a toner cartridge and drum unit, this five in one device has a lot to offer for a low price, even if it isn't the fastest machine around. One of the first things that stands out about the Brother MFC-7340 is its excellent print resolution. In a world of bare bones 600 x 600 dot per inch machines, the Brother MFC-7340 goes the extra mile and provides not 1200, but 2400 x 600 dots per inch for a superior look to all its material. Lower quality levels can be selected for faster print speeds, but a maximum of only 21 pages per minute can be reached. The Brother MFC-7340 has a maximum monthly duty cycle of 10,000 pages with a recommended monthly print volume of only 250 to 2,000 pages. Though users can allowably run this machine up to the maximum, Brother does not recommend it, in that it will potentially shorten the overall life of the device. 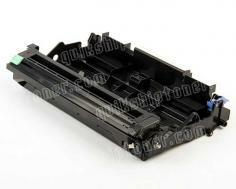 If problems with the printer do occur, buyers will be backed for one year by Brother's limited parts replacement policy. The print speed of 21 dpi is a little disappointing, regardless of the device's relatively low price. The 16 MBs of included memory is also lacking to a degree, though it should still allow for basic tasks to be performed well enough. The real kicker, however, is the complete lack of a memory expansion slot, meaning users with higher printing demands have no option to upgrade their memory. This is an unfortunate consequence of many bargain laser devices. A single USB 2.0 port is the only connectivity option present on the Brother MFC-7340, a Parallel port or Ethernet connection would be appreciated, but it is even more devastating that no optional interfaces can be added. Users who desire a network connection cannot even purchase an additional peripheral. Standard paper supply is average and consists of a single 250 sheet paper tray which is, once again, not expandable, making the obvious, major reoccurring flaw in the Brother MFC-7340 its absolute complete lack of expansion options. As they say, a low price comes at a price. The fact that the Brother MFC-7340 comes with only a 14.4 K fax modem is absolutely unacceptable. With a modem this slow, users will have to wait a full six seconds per page for transmissions. Though this may not seem like long, it is significantly slower when dealing in larger fax projects by way of the built in automatic document feeder. 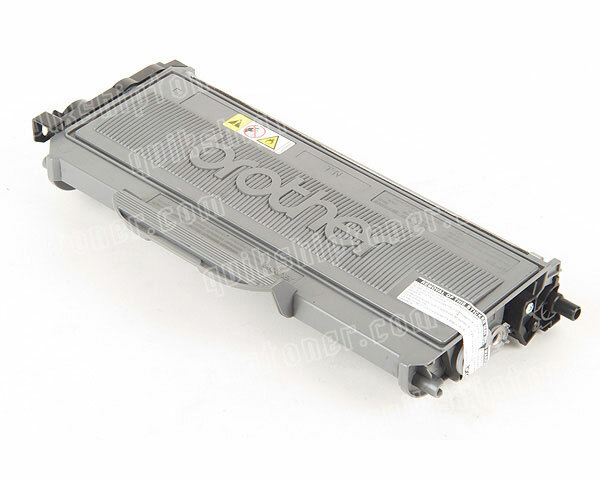 Review it: "Brother MFC-7340 "
This Brother MFC, like the ones before it, comes with a toner cartridge that is slightly higher volume than ones in the MFC series' past. The Brother MFC-7340 toner is capable of printing up to 2,600 pages at 5% coverage, while its drum unit offers a substantial 12,000 pages.